This is one of my most MacGyver cases to date. 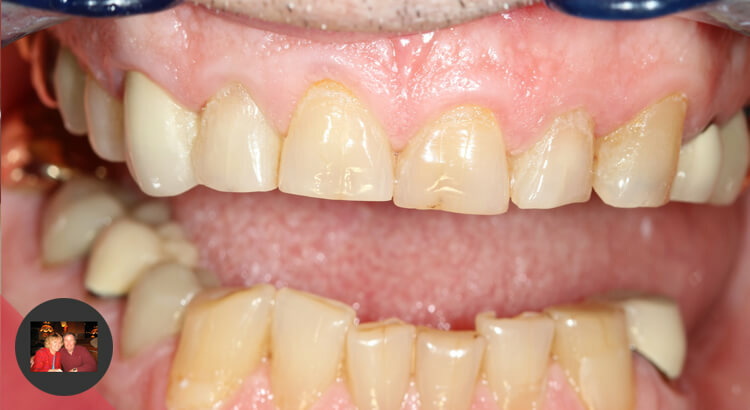 This patient has extensive damage from wear and erosion and was ready to restore his mouth before it gets any worse. He is now a faithful nightguard wearer but nonetheless, those masseters made me really nervous. I like to test drive big cases in composite before committing to porcelain because if they’re going to be breaking stuff, it sure helps to figure out why and correct it before proceeding to finals. You can certainly do it with just a bisacryl overlay but it tends to pop off and you can’t really leave it on as a buildup. Doing the mockup in a real composite allows you to break the teeth up individually for flossing and allow them to wear it longer. 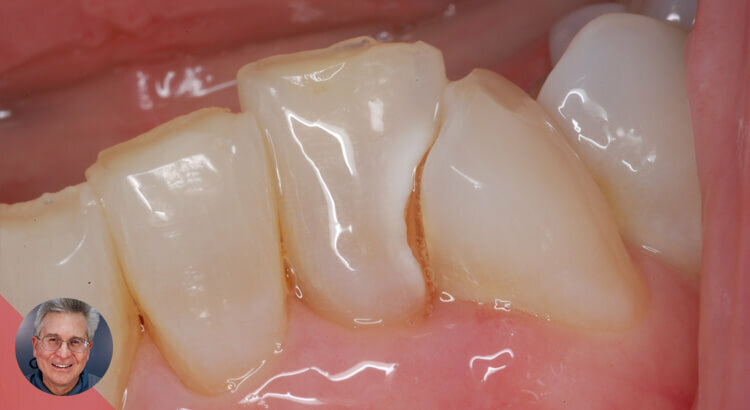 It also serves as a buildup by filling in deficient areas of tooth. In this case, I generated a template from a waxup and used it to injection mold the intraoral mockup. The contacts were broken by inserting mylar strips interproximally. I chose to use Activa here for a variety of reasons. It is injectable, it’s dual cure, it doesn’t have to have a bonding agent, and it is very resistant to wear and chipping. 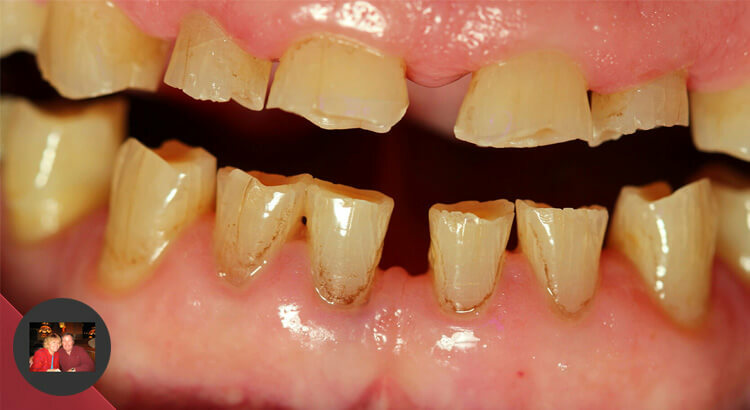 The bioactive aspect is icing on the cake making it far less likely to have secondary decay. 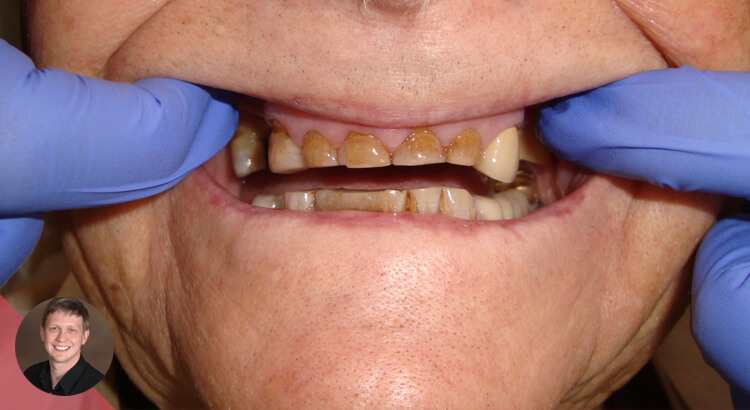 This 50 year old patient was in today for a check-up on his teeth. 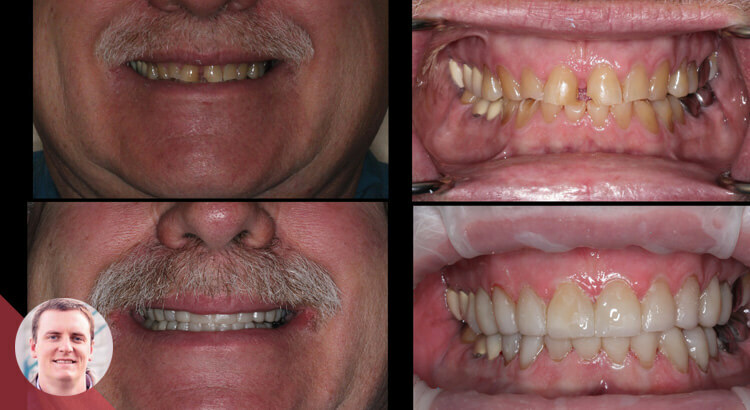 I had not seen him for 20 months since we restored his lower teeth. 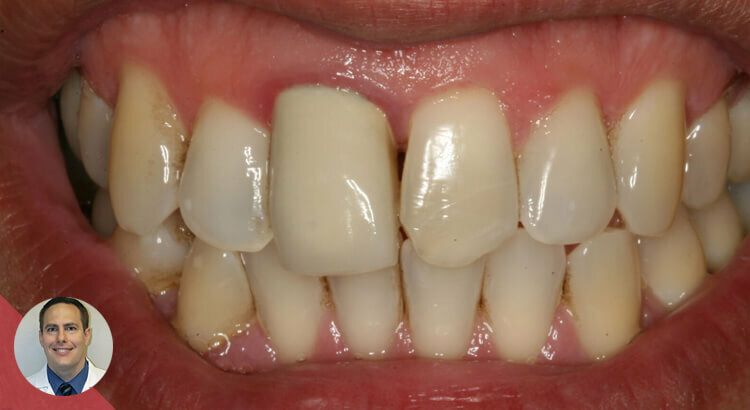 We had restored his upper teeth 2 months previous to doing his lower teeth. He came from another neighboring dental office where they don’t do composite rehabs. He has been into this other office for several cleanings since we did his rehab but he smokes, loves his coffee and has lots of stain. Anyway I was wondering how he was making out with his new teeth and he was very satisfied. In his words “no pain or sensitivity or problems”. So I was quite happy with his rehab. His wife came as well and we knew each other from 30 years ago when my daughters and I were riding horses in the same horse club. There were a few air bubbles that I didn’t like and a small open margin that I repaired and that was all he needed to spiffy him up. 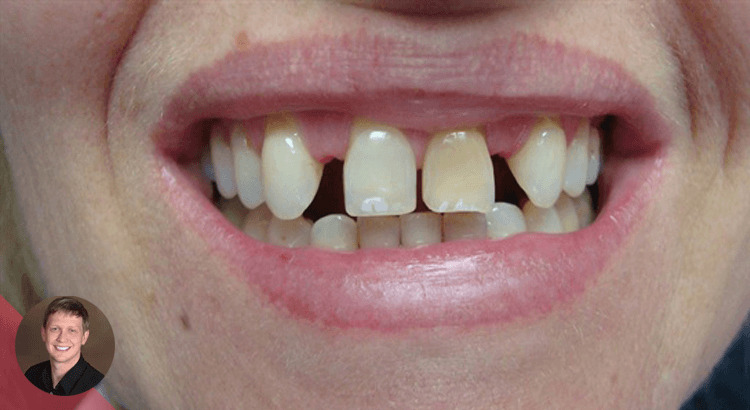 43 year old female presented with chief complaint of “I need to fix my smile, I have a wedding to attend in August (in 3 months)”. 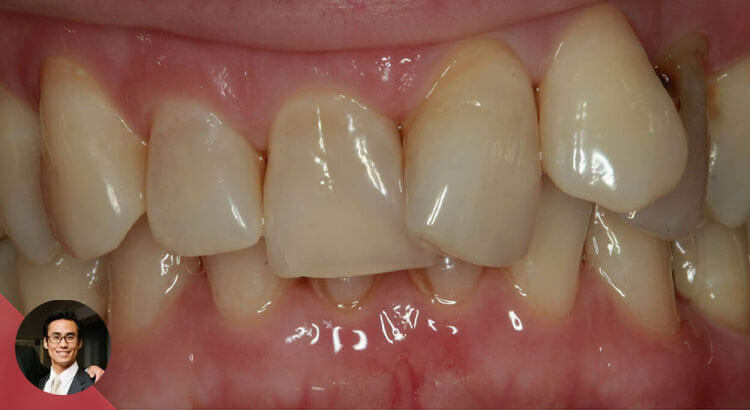 Patient had generalized moderate chronic perio, decided to not pursue ortho tx. 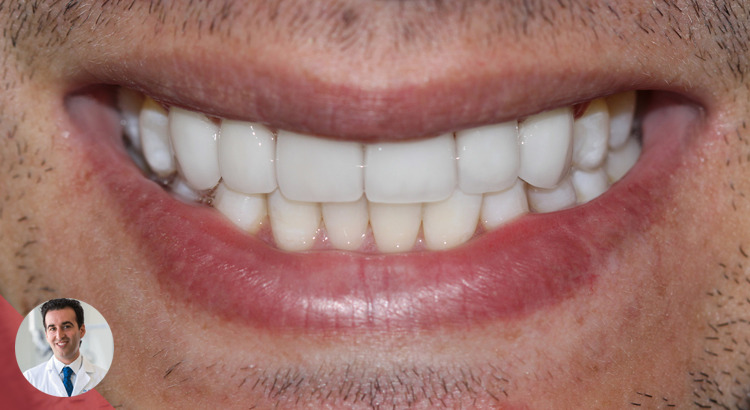 Initially, we decided to exo canine in lateral incisor position, and create a 4 unit FPD 8-9-x-“11”. After FPD and the wedding, we will proceed forward with endo and PCC on #9. 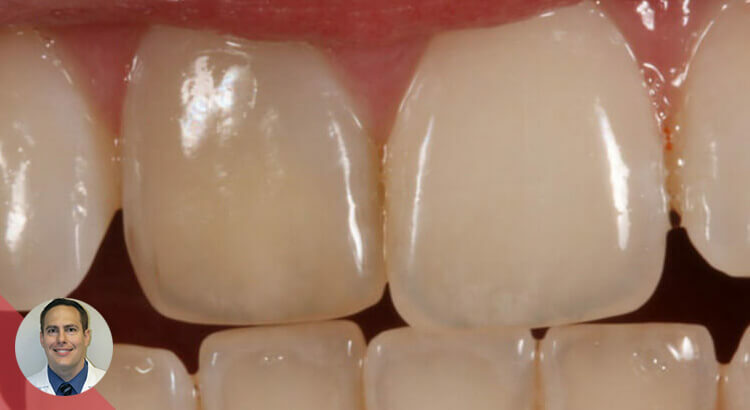 However, due to careful preparation, we managed to preserve the teeth, avoid the extraction, and altered the treatment plan to four emax crowns.